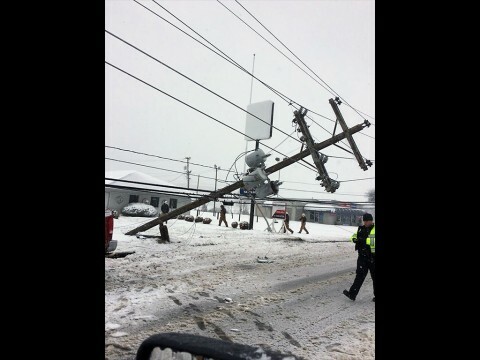 Clarksville, TN – The Clarksville Department of Electricity (CDE) reports an outage on the south side of Clarksville that affected approximately 2500 customers, due to a pole being struck by a vehicle on the 1000 block of Riverside Drive across from Regions Bank. Clarksville, TN – CDE Lightband has scheduled two momentary electrical outages to replace a damaged pole on Sunday, August 23rd. The second outage will affect the same customers at approximately 6:00am when crews tie the new pole into the electrical system. This outage should also last approximately one to two minutes. Clarksville, TN – As of 1:30pm, 6,000 CDE customers are without power. Circuits still down in the New Providence are as follows: Darlene Drive, Zachary Drive, Charlemagne Blvd, Fort Campbell Blvd from Fountain Bleau to West Concord Road, and West Concord Road.